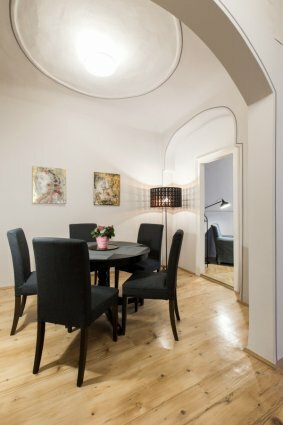 Spiral staircase of a fairy tale like building that dates all the way back to 14th century, lead to this dream apartment. 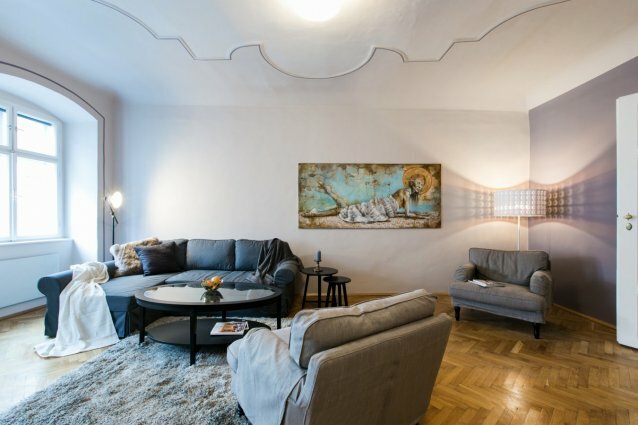 Decorated with a lot of attention to detail this beautiful 1-bedroom apartment offers accommodation for up to 6 people with 1 double bed and 2 sofa beds. 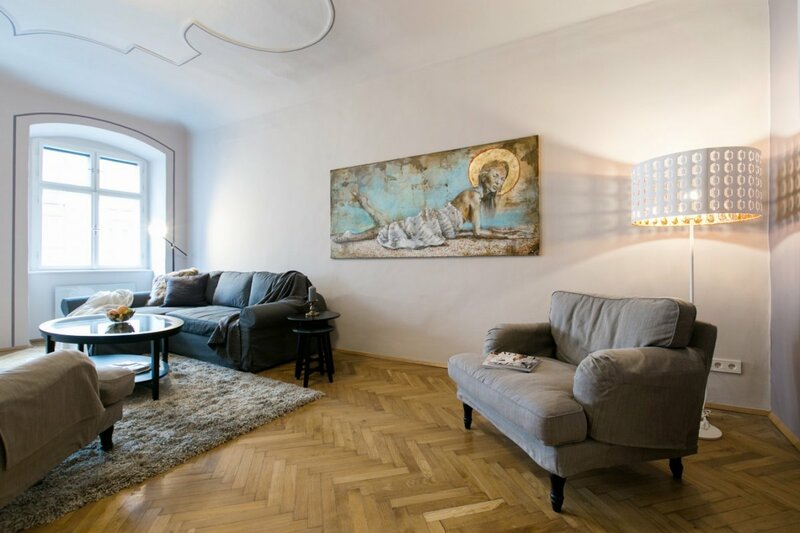 On a space of 97 sqm, the apartment offers ample space for all to relax after an adventurous day exploring the city. 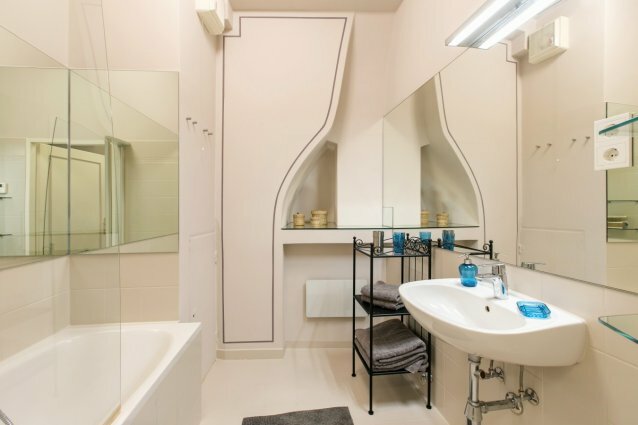 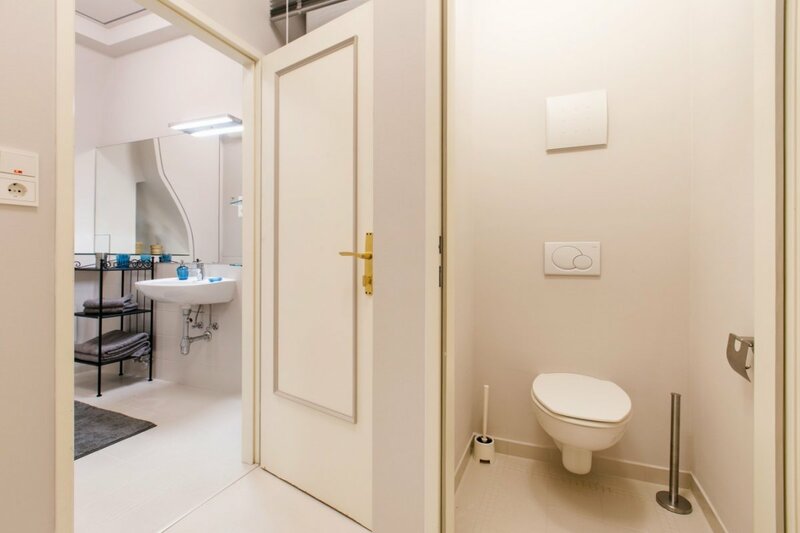 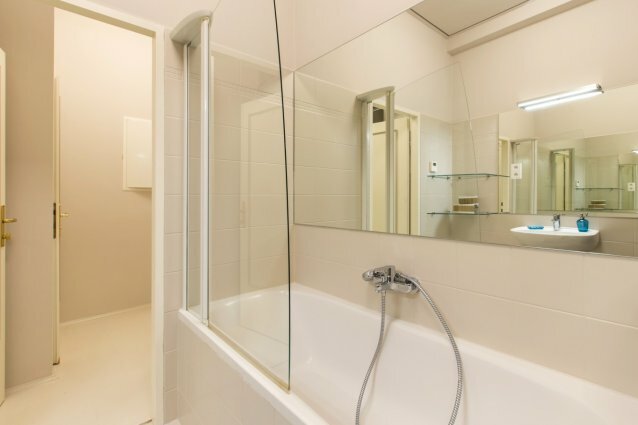 The apartment has a bathroom with bathtub and a toilet. The property offer self-catering accommodations with full basic kitchen amenities. Wifi is available and provided free of charge through out the apartment. 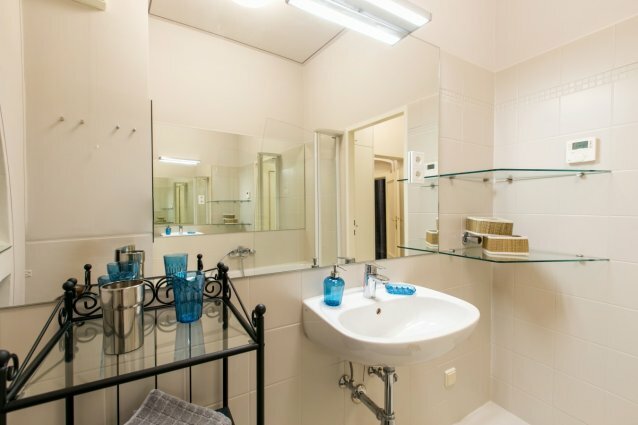 Airport shuttle service can be arranged upon request. The picturesque first district makes up the historical heart of Vienna, where the magnificent Ringstraße, historical architecture, government buildings, touristic enterprises and large company headquarters come together to make the first district not only the touristic, but also the economic centre of the city. 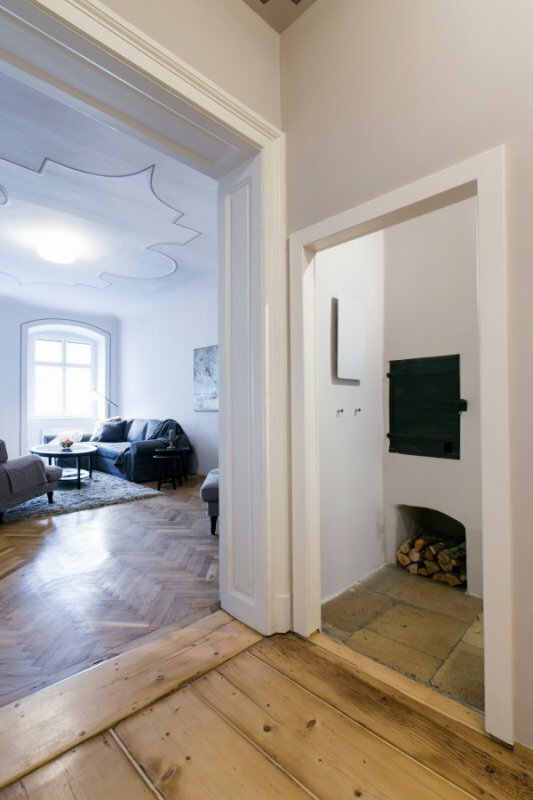 As the oldest of Vienna’s districts, dating back to the Roman ages, it has found a place on the UNESCO World Heritage list. The grand pedestrian shopping streets Graben and Kärntner Straße join at the central St. Stephen’s Square (Stephansplatz), where locals and tourists alike come together to enjoy the historic sights, browse through one of the many fashion stores, relish in a traditional Melange and Sacher cake in one of the famous Viennese coffee houses, or just stroll through the winding side streets and take in the Viennese atmosphere. 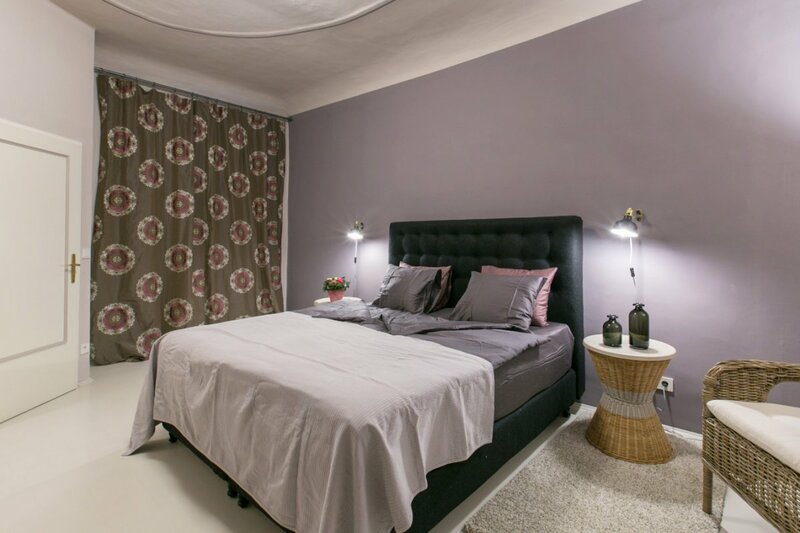 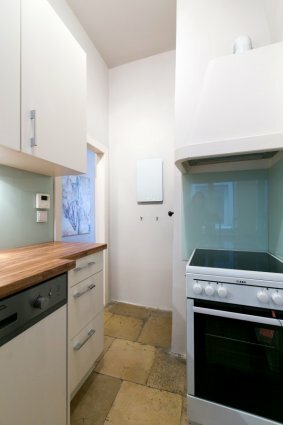 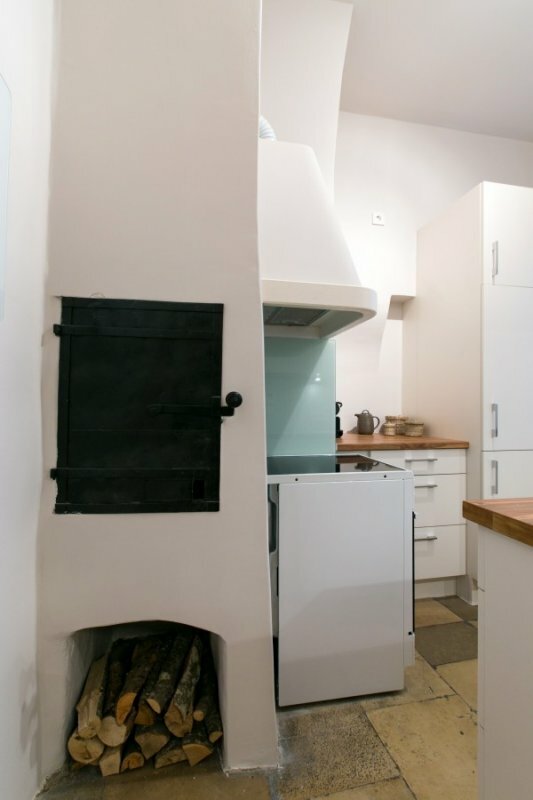 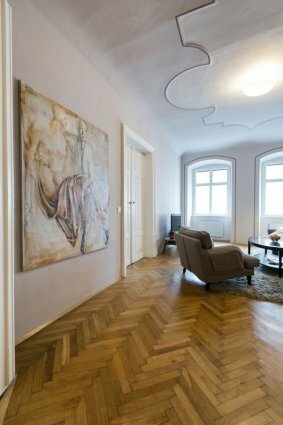 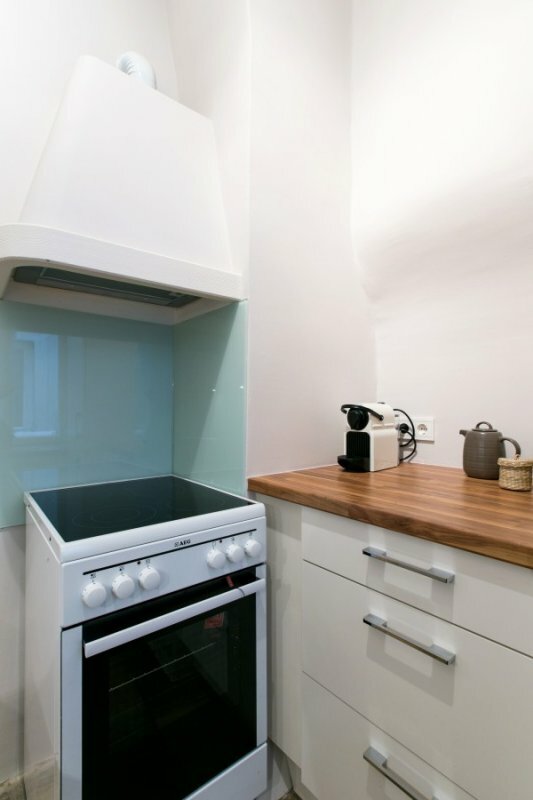 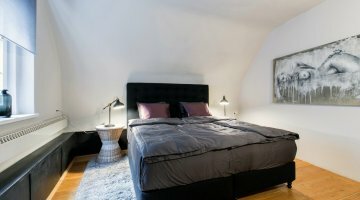 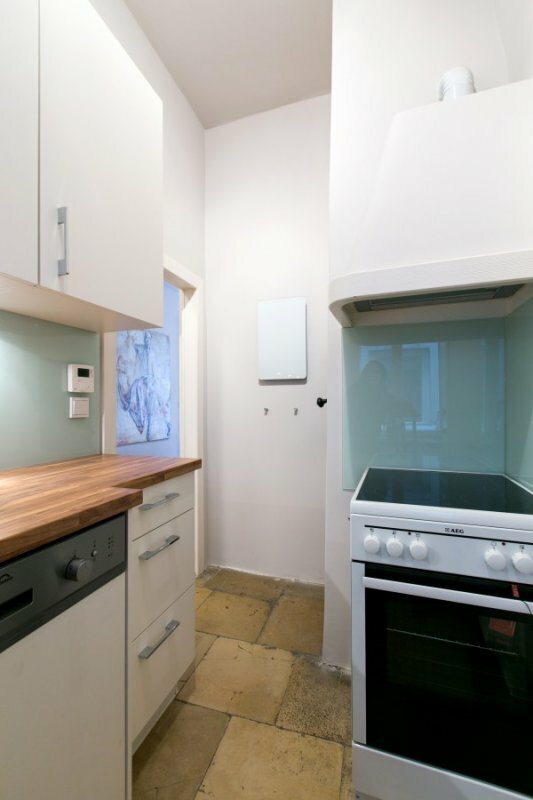 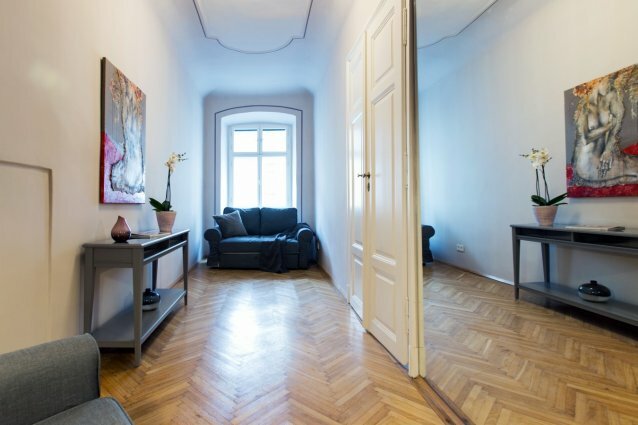 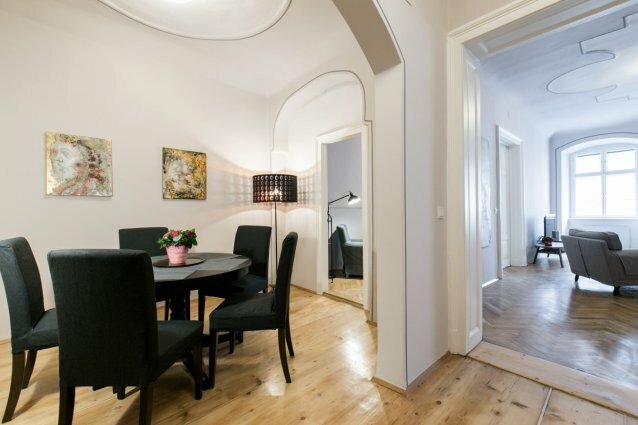 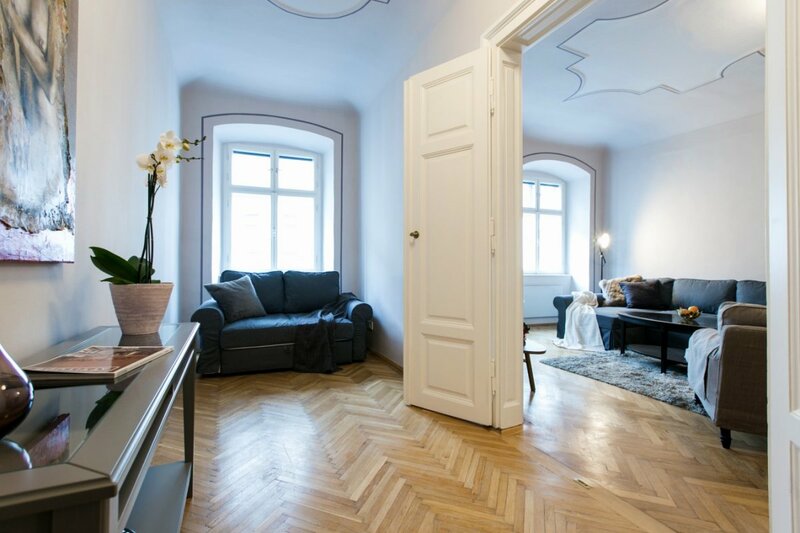 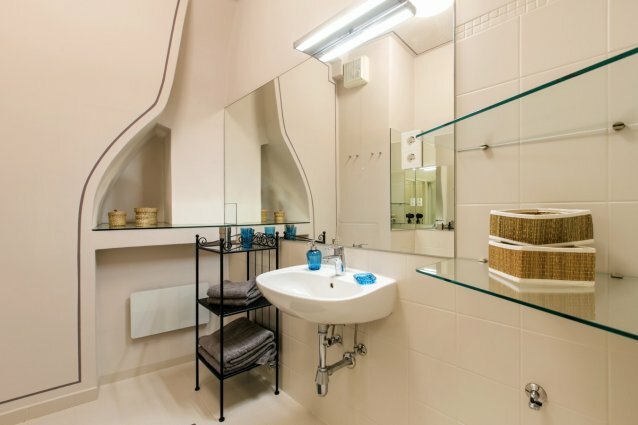 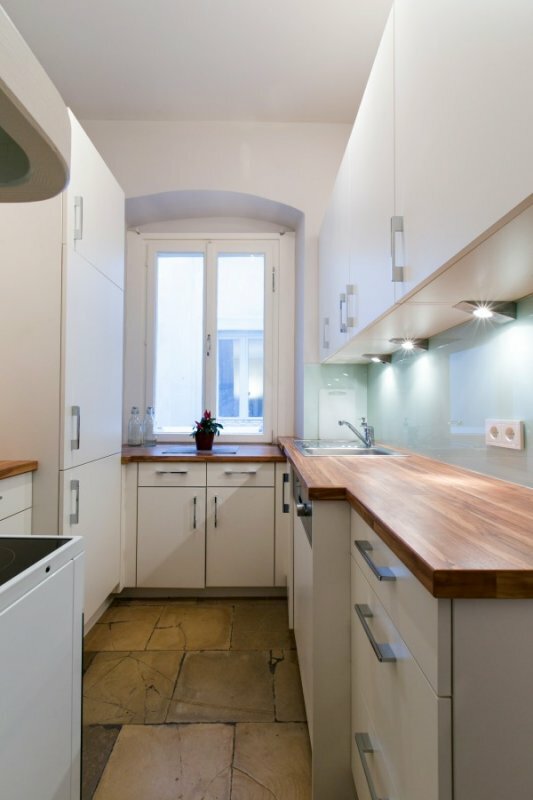 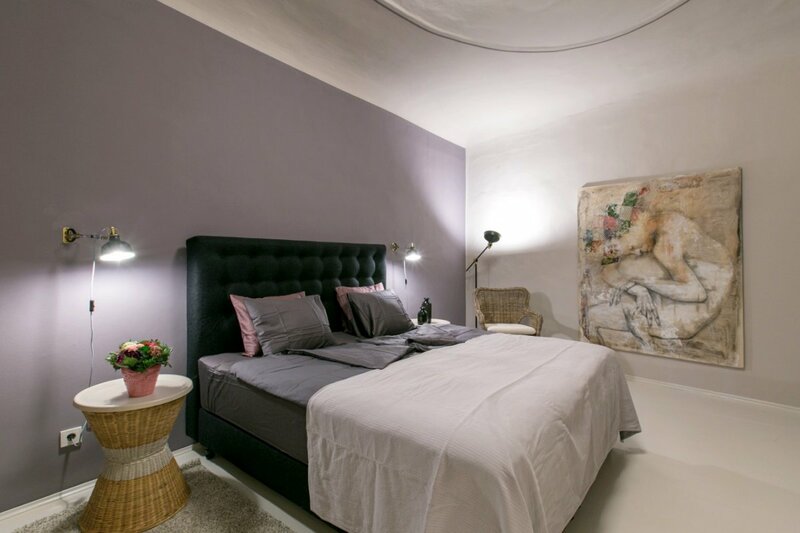 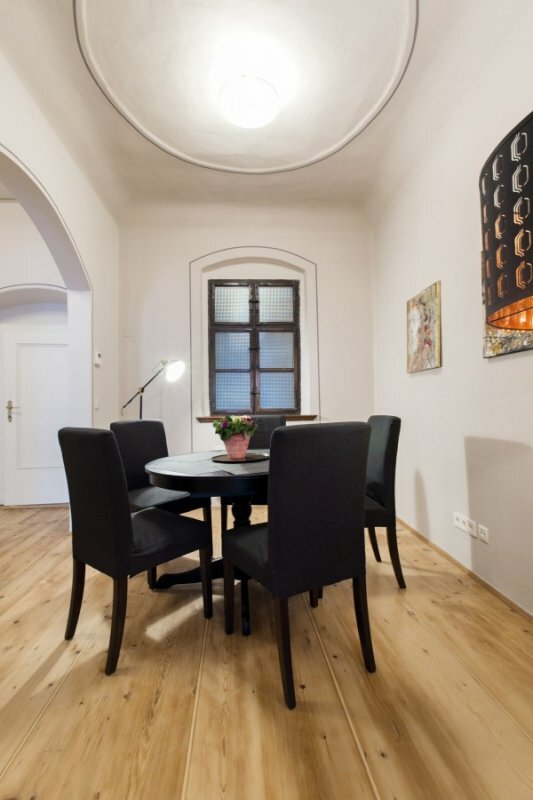 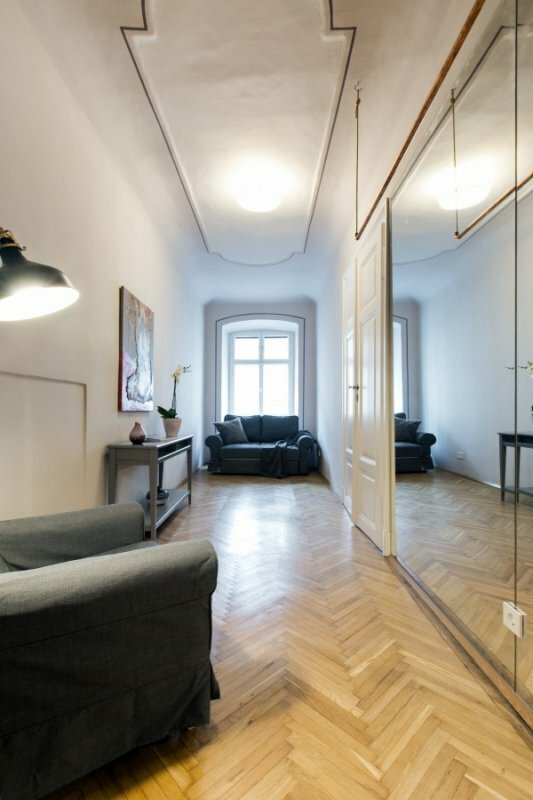 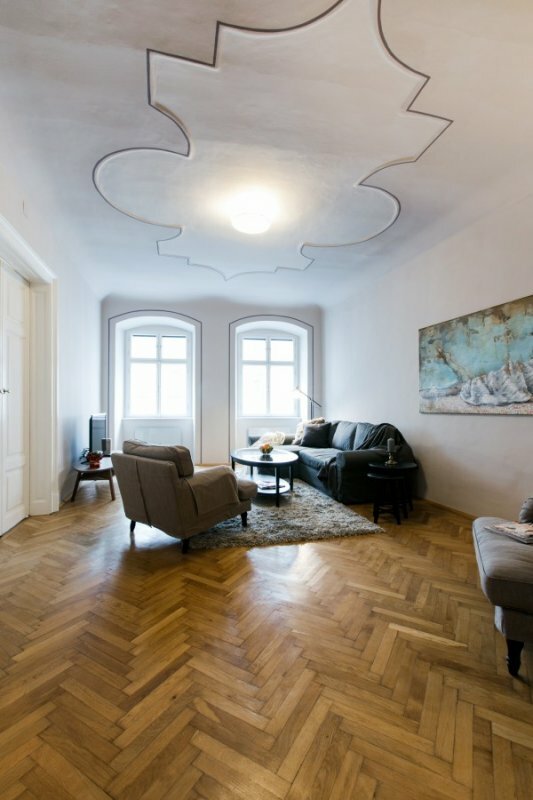 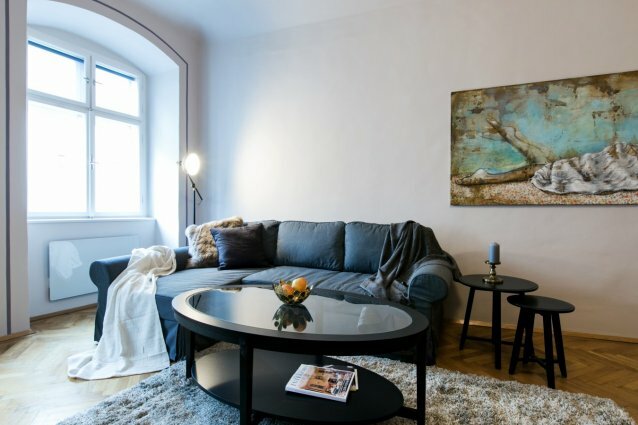 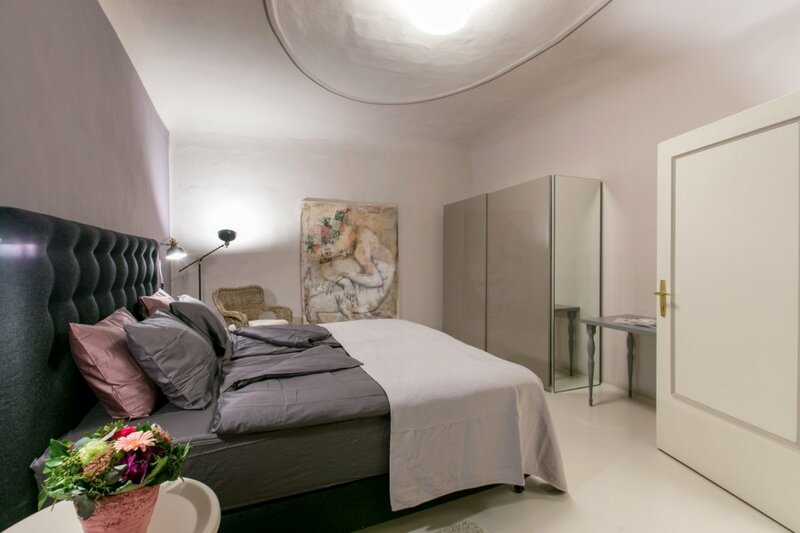 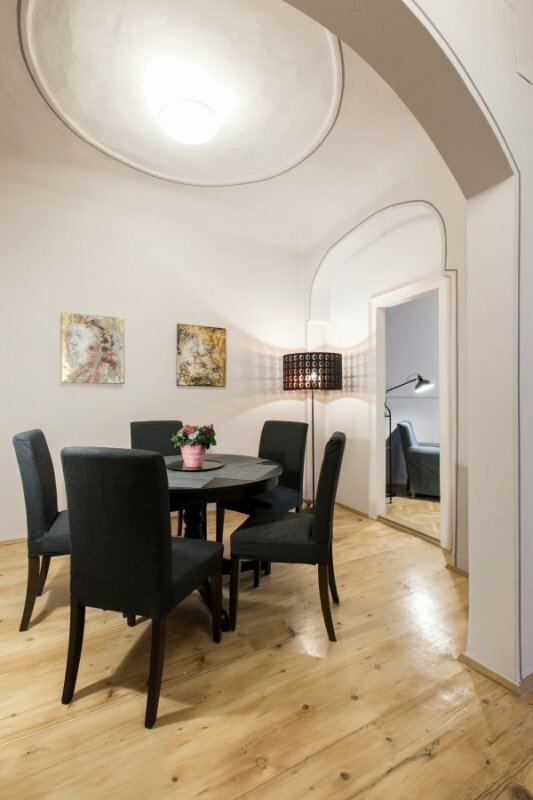 The apartment is located on Tuchlauben, a small street leading to the St. Stephen’s cathedral square (Stephansplatz) and walking shopping street of Graben, making this an unbeatable address. 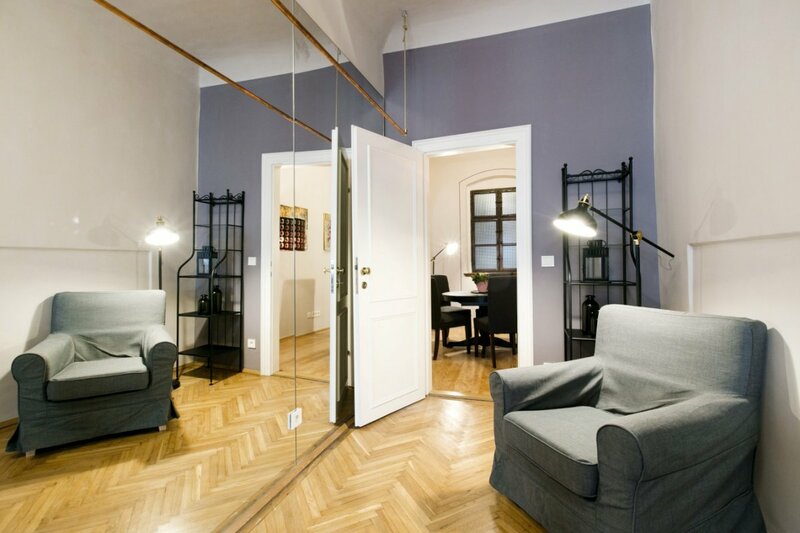 U4, tramlines 1, 2, and the tourists’ Ring tram.